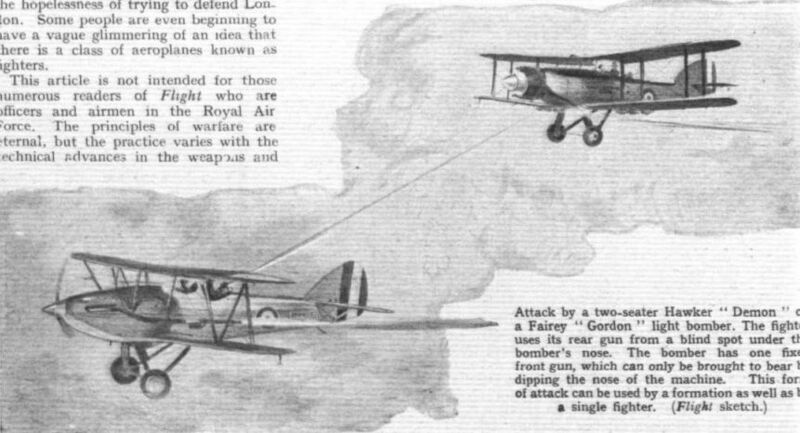 The "Hart" light bomber has one fixed gun in front, fired by the pilot who has to aim the whole machine. The rear gun is movable and protects the zone above, that to the rear, except where masked by the tail, and over a wide arc below on each side. There is a blind spot immediately beneath the machine. HOLDERS OF THE ESHER TROPHY : Good formation flying by No. 605 (County of Warwick) (Bomber) Squadron, A.A.F. "Dagger III" engines destined to equip one squadron of Hawker "Audax" Army co-operation machines are being built at the Napier works. Here a "Dagger" is shown installed in a "Hart." The "Audax" installation will be slightly different. Mrs. Miles and Mr. F. G. Miles flying the new De Luxe "Hawk Major" near Reading. 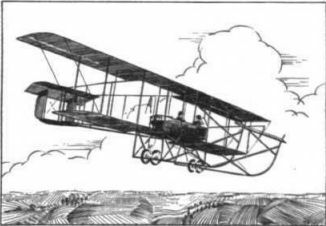 This Miles "Falcon," with tandem seating, has been entered for the King's Cup by Viscountess Wakefield, and will be flown by Fit. Lt. "Tommy" Rose. 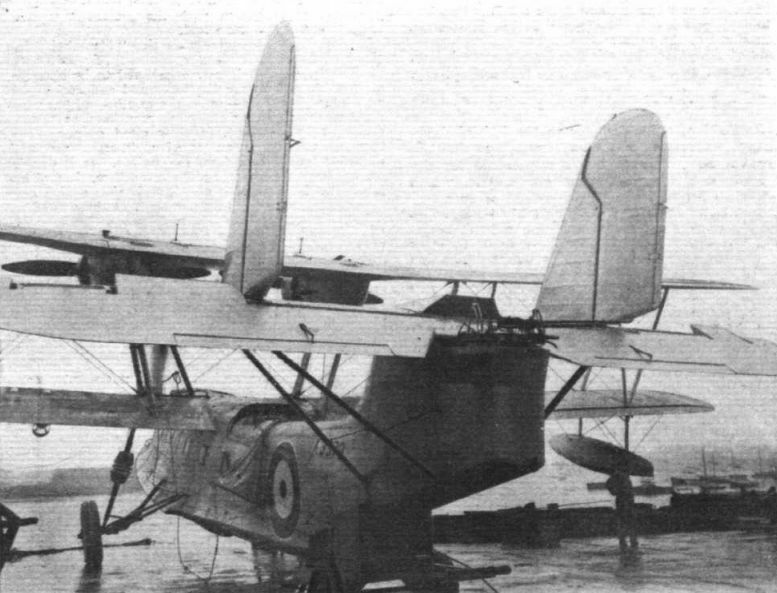 The Handley Page "Heyford" heavy bomber has one gun position in the nose, a second gun above the fuselage behind the wings, and a revolving turret which can be lowered underneath the fuselage. It would be difficult to find a blind spot. No. 10 (BOMBER) SQUADRON. 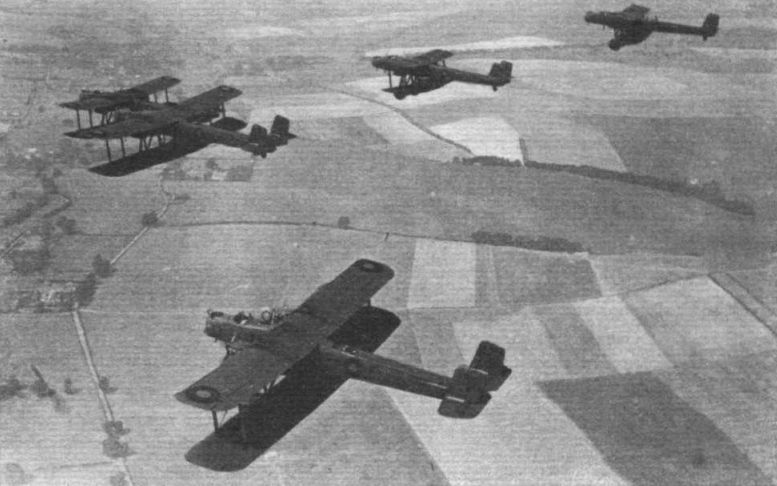 A flight of five Handley-Page "Heyfords" flying in formation by day. 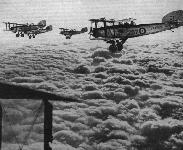 Last week the squadron made night raids on Portsmouth and was very successful in evading the searchlights. 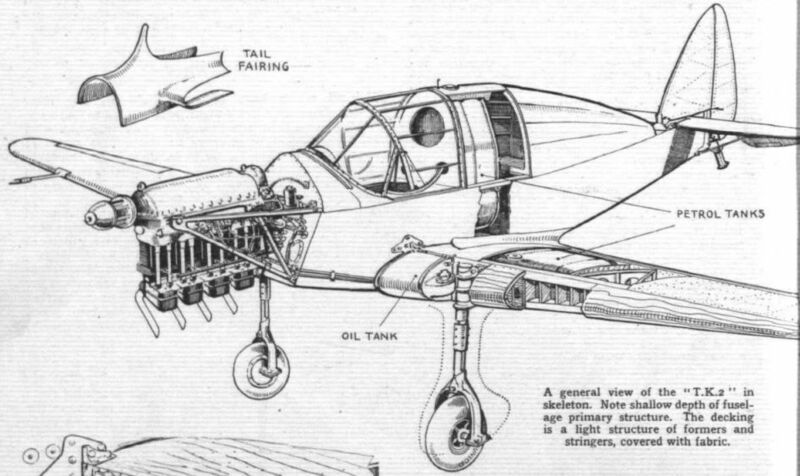 The Boulton Paul "Overstrand" medium bomber has a very efficient revolving gun turret in the nose, commanding a complete hemisphere. The gunner is also the bomb-aimer. 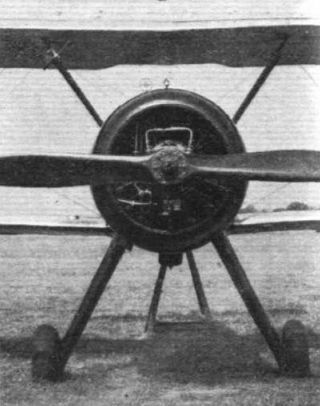 Behind the wings are two gun positions, one for firing upwards and the other below the fuselage for firing downwards and rearwards, but there is only one gunner for these two guns. No. 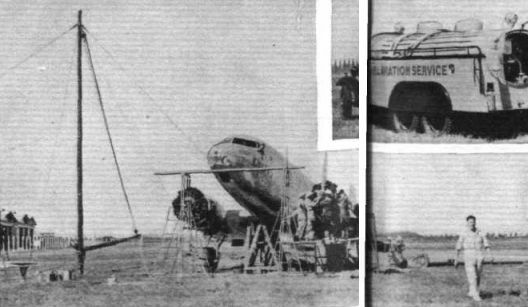 101 (Bomber) Squadron is now receiving the "Overstrand" in place of the "Sidestrand." 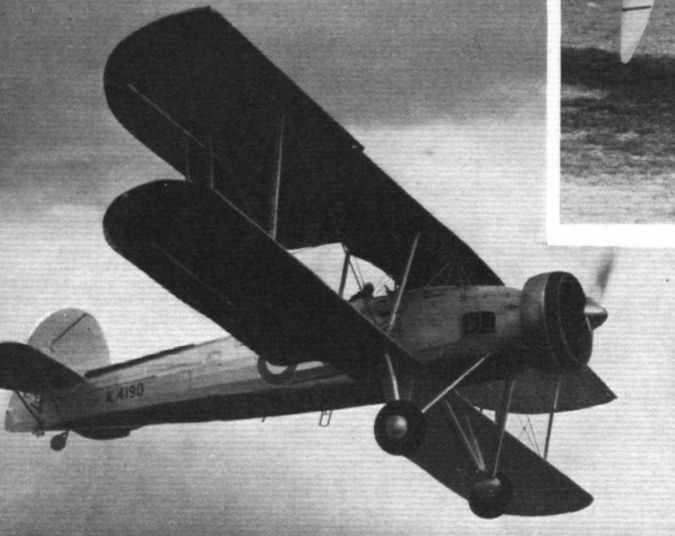 This medium bomber, with two "Pegasus IIM" engines, does 152 m.p.h. A RECORD HOLDER. The Italian Cant. 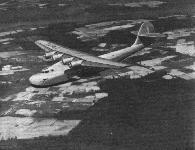 501 flying boat which, as already recorded in Flight, flew from Montfalconeto Berbera, a distance of 3,104 miles in 24 hr. 55 min. thus setting up a new world's non-stop record for seaplanes. The engine is a 750 h.p. Isotta Fraschini. 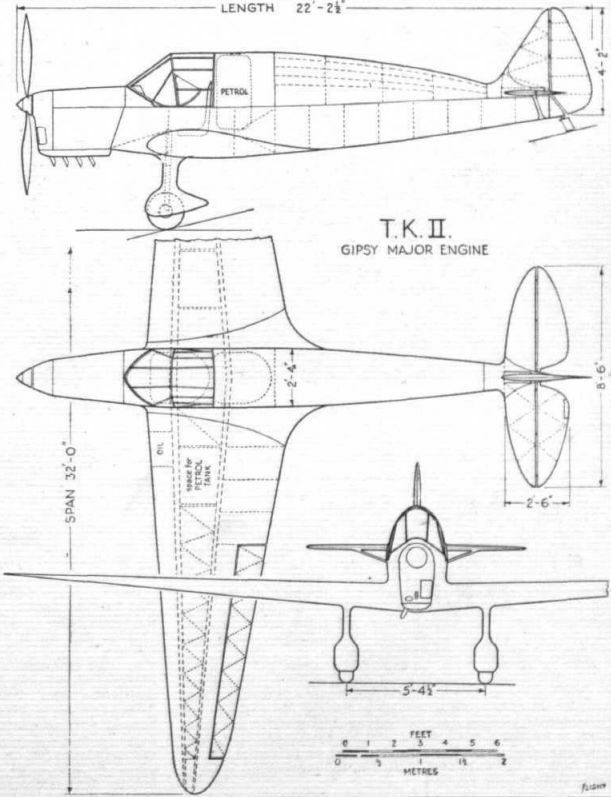 The Gloster F.7/30, now known as the "Gladiator," is the latest fighter to be ordered for the R.A.F. Four guns are carried, two in the fuselage and the other pair beneath the lower main planes. No. 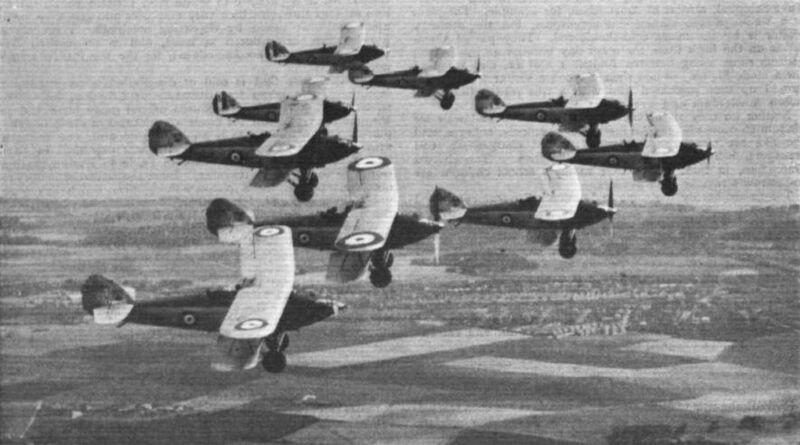 19 (Fighter) Squadron flying its "Gauntlet Is." The latest type of "Gauntlet" differs in certain ways from this mark, but the variations, which are of a structural nature, are not externally obvious. Fairey "Gordons" flying over a remarkably solid-looking "cotton-wool carpet" while on a raid during the Air Exercises. Attack by a two-seater Hawker "Demon" on a Fairey "Gordon" light bomber. The fighter uses its rear gun from a blind spot under the bomber's nose. 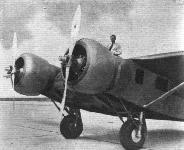 The bomber has one fixed front gun, which can only be brought to bear by dipping the nose of the machine. This form of attack can be used by a formation as well as by a single fighter. There will be at least three squadrons of Saro "Londons." These are very sturdy boats with two 690 h.p. "Pegasus III's." 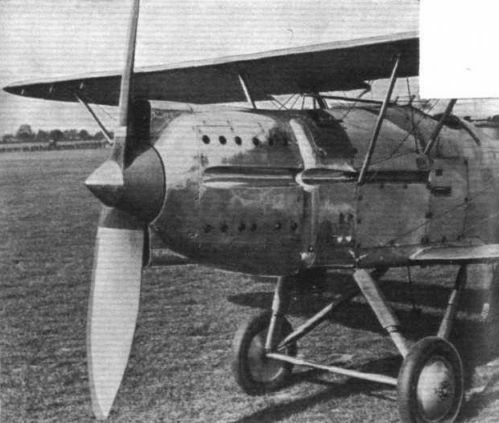 The Short "Singapore III" powered with four 525 h.p. "Kestrels" has a speed of 145 m.p.h. Boats of this type are now going into service with squadrons overseas. A bird's-eye view of the "Stranraer" alighting on the water. 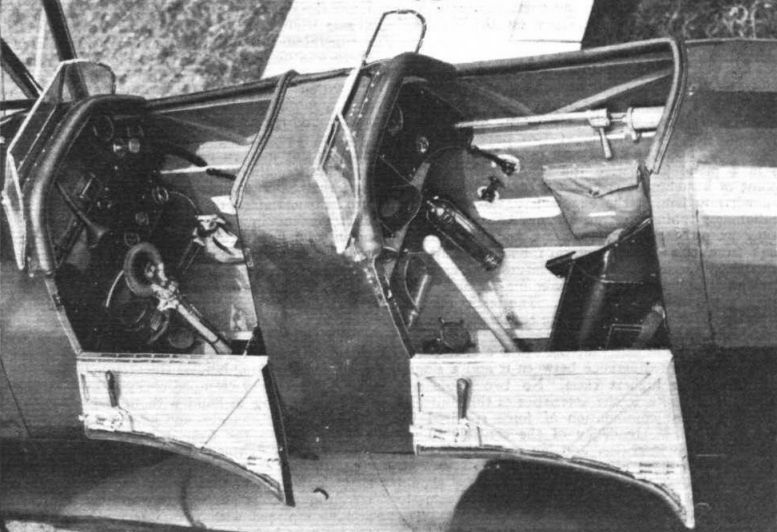 Stern Defence: The rear gunner's cockpit in the "Stranraer." Note also the control "tabs" on rudders and elevator. 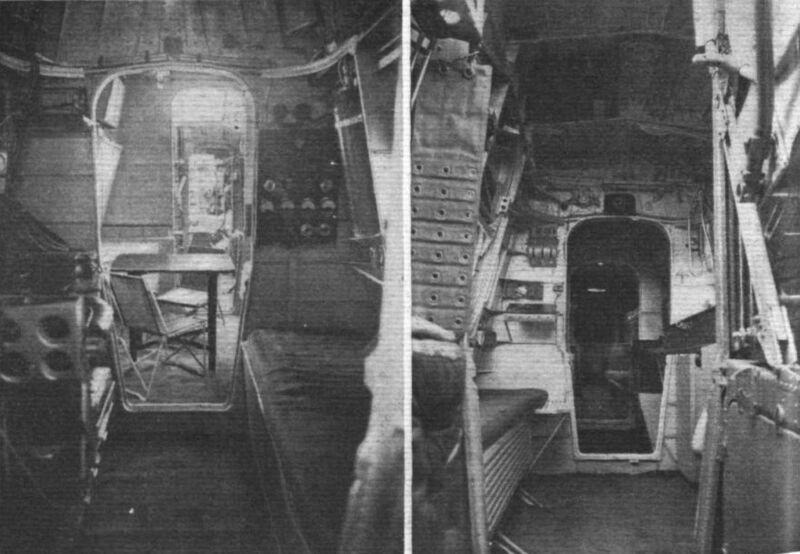 The interior accommodation ot the "Stranraer." On the left, is a view looking towards the pilots' cockpit and forward gun station. The navigator and engineer are accommodated in the compartment ait of the pilots' cockpit. On the right, a view looking towards the tail. 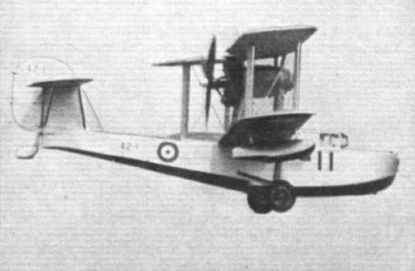 A contract for a number of "Walrus" fleet spotter reconnaissance amphibians has been placed with the Supermarine Aviation works. 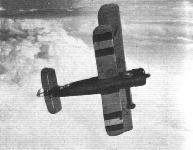 SLOTTED: An example of the 135 Curtiss O3C-1 scout observation biplanes ordered by the U.S. Navy. The machine is here seen equipped for carrier operation, but it may be employed as a seaplane if necessary. 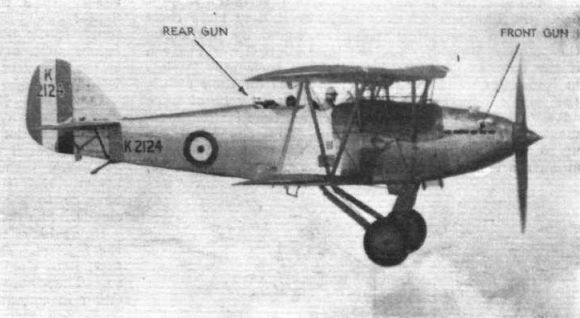 Handley-Page slots account for the excellent speed range of the type. "Anson" is the official name of the Avro coastal reconnaissance monoplane (2 "Cheetah IX"). A very large order for these machines has been placed. 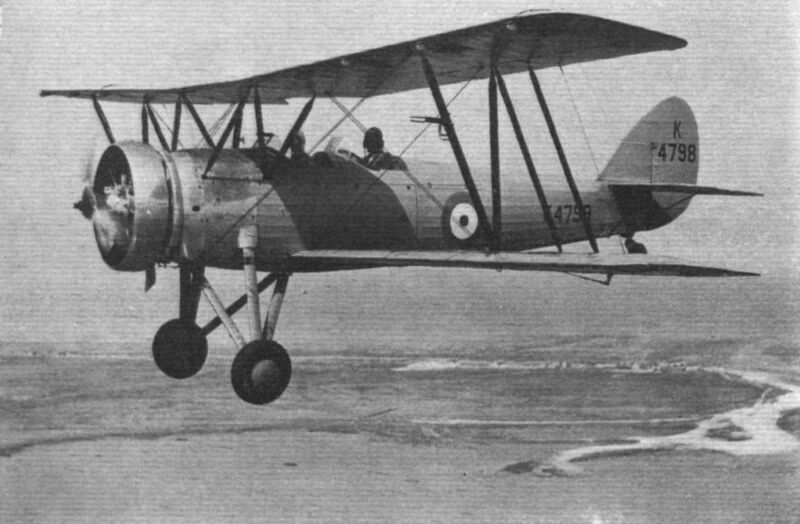 One of two torpedo spotter reconnaissance types to be adopted is the Fairey "Swordfish" with 690 h.p. "Pegasus III." The Lord Mayor, Aid. R. S. Dalgliesh, welcomes Sir Philip Cunliffe-Lister as he steps from the Communications "Rapide." 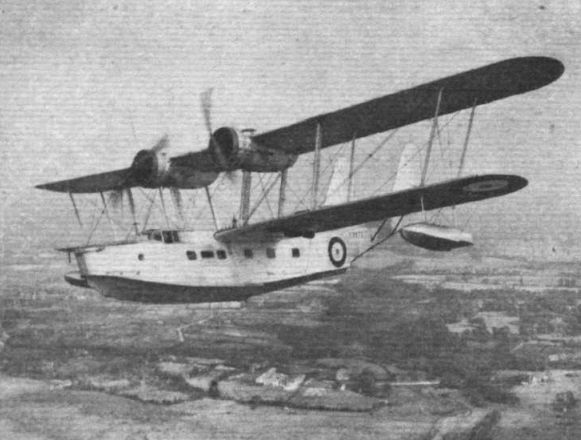 The Vickers "Valentia" is an improved "Victoria" with "low duty" "Pegasus" engines. The performance is considerably improved. Filling up the new K.N.I.L.M. Douglas with Shell 87-octane fuel. THE HIDE-OUT: A friend of ours, of a retiring nature, having discovered in the German journal Luftwehr this crew-station diagram for a Fokker-Douglas D.C.2 bomber, has definitely decided on the position he would like to occupy in the event of finding himself in a heavy bomber squadron in the next war. 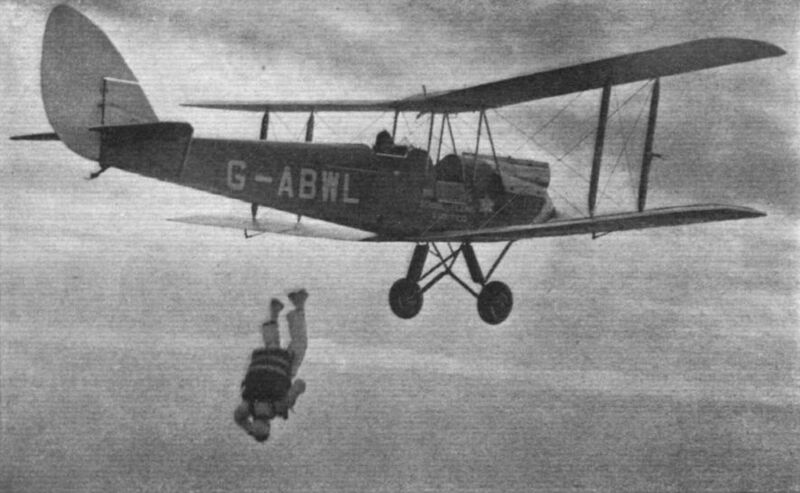 INSTRUCTOR AND PUPIL: An Avro "Tutor" of the Oxford University Air Squadron flying along the Kentisn coast, with Whitstable in the background. 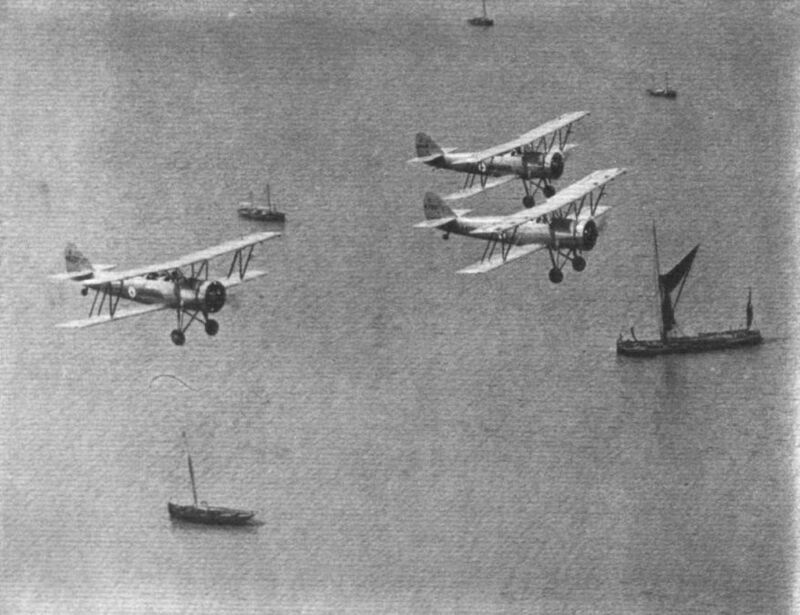 FROM ISIS TO SWALE: The Oxford University Air Squadron is now encamped at Eastchurch in the isle ol Sheppey, and its Avro "Tutors" range over the waters of the Thames estuary. 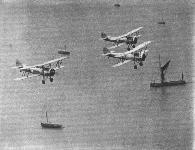 Here a flight is seen over a line of red-sailed barges which have just emerged from the Swale channel. Whitstable as seen from the air, with a flight of the Oxford "Tutors" coasting along. 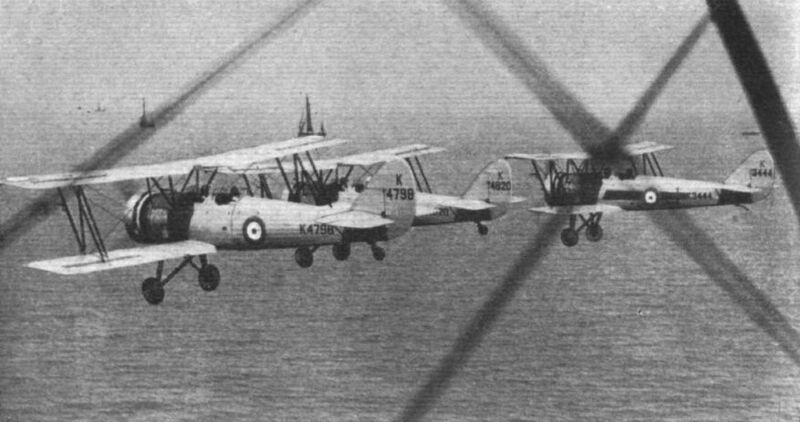 A flight of three "Tutors" of Oxford University Air Squadron off the coast of Kent. The convoy of barges has just emerged from the so-called river Swale, which separates the Isle of Sheppey from the mainland. 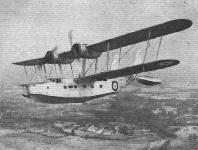 In its production form the Fairey "Hendon" will have 600 h.p. 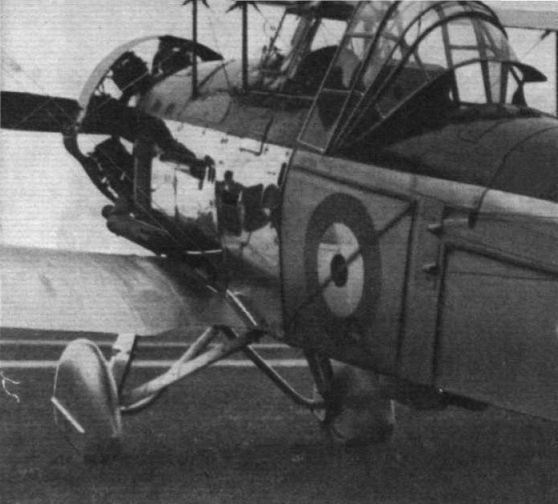 "Kestrels," a cupola for the front gunner, and an enclosed pilot's cockpit. 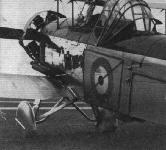 The Fairey "Hendon" heavy bomber not only has one gun position in the nose and one behind the wings firing upwards, but also one behind the rudders which commands a complete hemisphere. No. 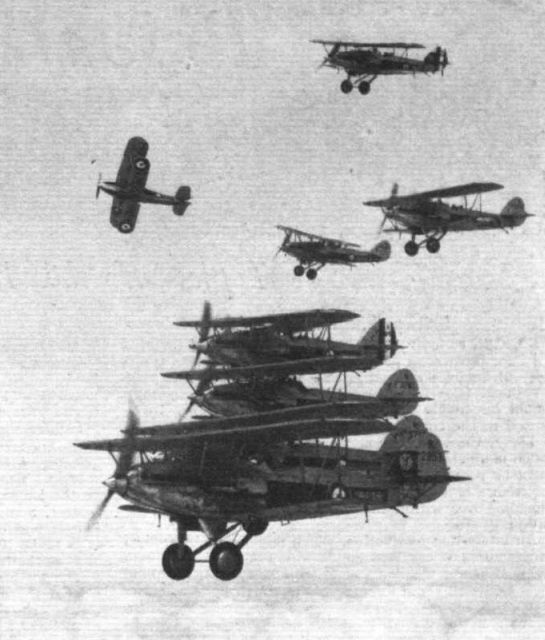 23 (Fighter) Squadron, which was the first unit to receive the "Demon" two-seater fighter, is here seen breaking from an echelon formation. Future "Demons" will have the 600 h.p. 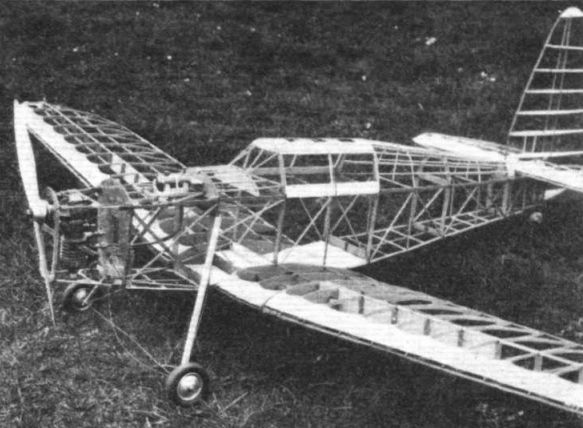 "Kestrel V."
The "Gull" in its finished state. The span is 7ft. 8in., length 5ft. 3 1/2in. and weight with coil and battery, 6 1/2 lb. The engine is a 15C.C. two-stroke. 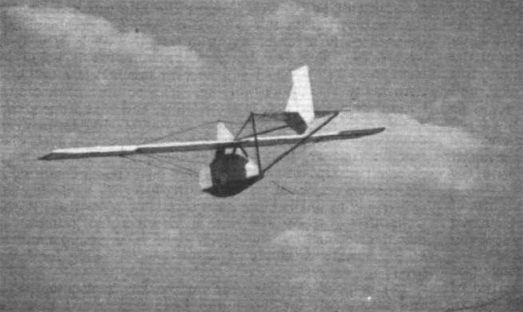 Mr. A. E. Morrod's Percival "Gull" without its fabric. COMPACT: The Praga 114 cabin two-seater, with 36 h.p. air-cooled flat-twin engine, which was demonstrated by Mr Kostalek at Heston last week. The machine sells in Czechoslovakia for about ?380. Mr. Hansez in the Caudron "Simoun" crossing the finishing line to win the Cinque Ports Wakefield Cup race. THE LATEST IN FAIRCHILDS. 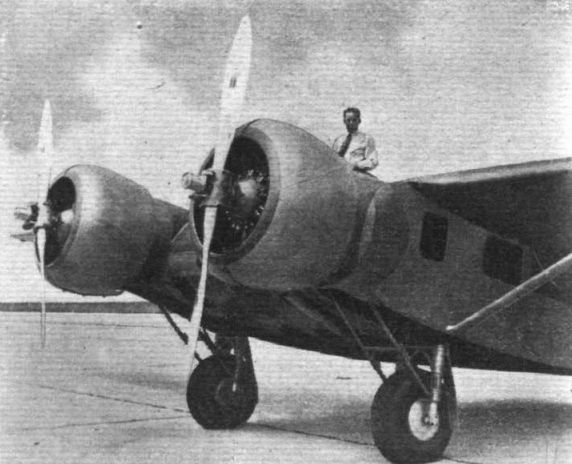 This is the new Fairchild "45" five-seater monoplane, which might be regarded as America's reply to our Airspeed "Courier." The engine is one of the new 225 h.p. Jacobs radials and gives a top speed of 160 m.p.h. With flaps down - they are of the split type - the landing speed is 48 m.p.h. 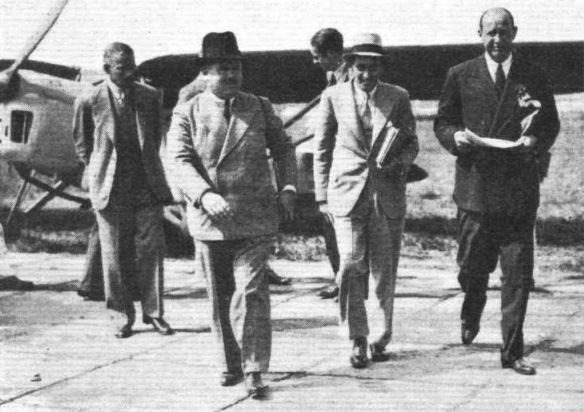 BRITISH PARTICIPANTS in last week's Tour of Holland - Mr. J. R. Ashwell-Cooke and Major H. Petre leaving the latter's "Puss Moth" in company with Mr. H. J. Tjarda, of the Amsterdam Aero Club. 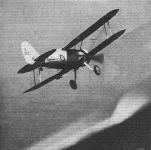 Another English competitor, Mr. Presland, tied for first place with a Polish pilot. 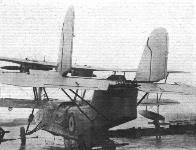 A large number of "Wallaces" with enclosed cockpits are under construction at the Westland works. The D.H. Comet with two Gipsy Six R engines is perhaps the most successful long-distance racing type of recent years. 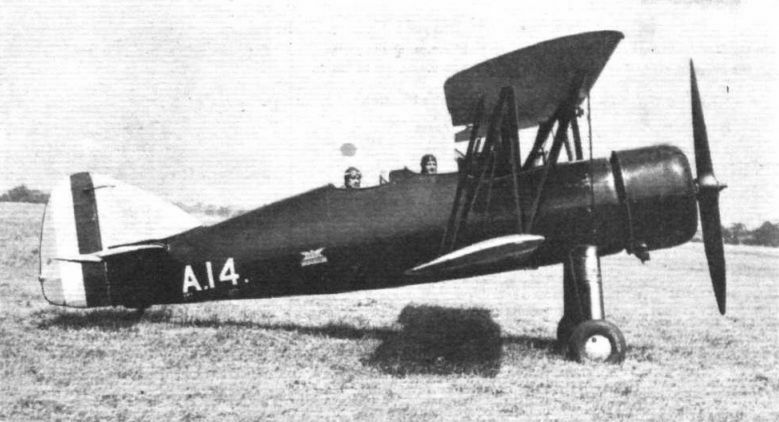 THE NEW D.H. "COMET" with which Mr. T. Campbell Black hopes shortly to make three long-distance record flights - to Cape Town and back in five days, England to Hong Kong in five days, and Canada and back in a week-end. The new machine derives a cruising speed of 220 m.p.h. from its two special "Gipsy Sixes" and has a range approaching 3,000 miles. Seen beside it are Mr. Black and Mr. Nicholson, the sponsor of the attempts. 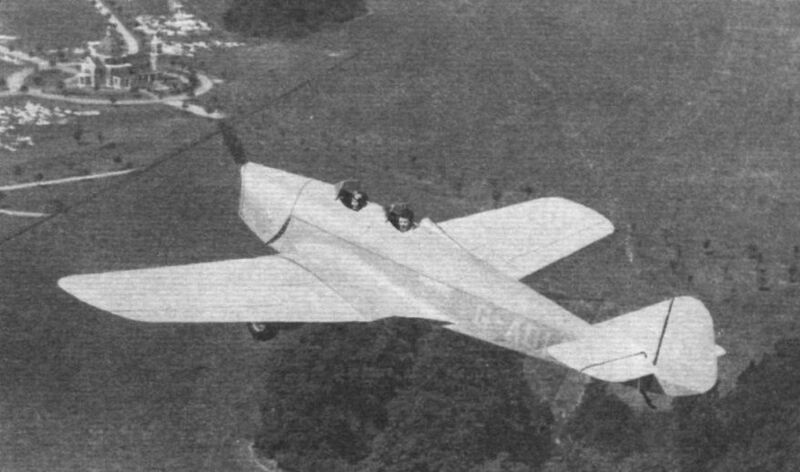 BOOMERANG: Last Thursday, shortly before Mr. Campbell Black and Mr. McArthur left Hatfield in an attempt to fly to Capetown and back in record time, the "Comet" was named Boomerang by Lady Fielding. 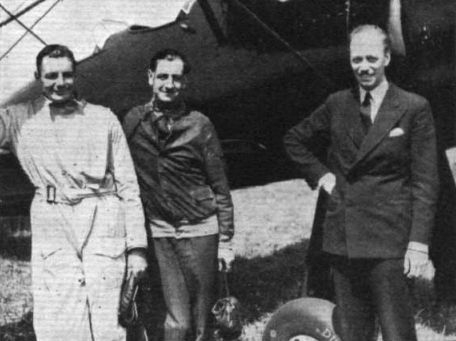 Seen in front of the machine are (left to right) Mr. Cyril Nicholson, who is sponsoring the flight. Lady Fielding, Mr. J. H. McArthur, Mrs. Campbell Black and Mr. T. Campbell Black. The flight was abandoned at Cairo owing to a shortage of lubricating oil. A further attempt will be made very shortly, and it is hoped to cover the 7,300-mile journey with only two stops for fuel, at Cairo and Kisumu. 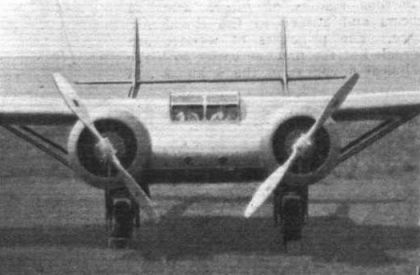 This view of the Avro 636, one of those shortly being delivered to the Irish Free State Air Force, shows that the occupants of both cockpits have an excellent outlook. 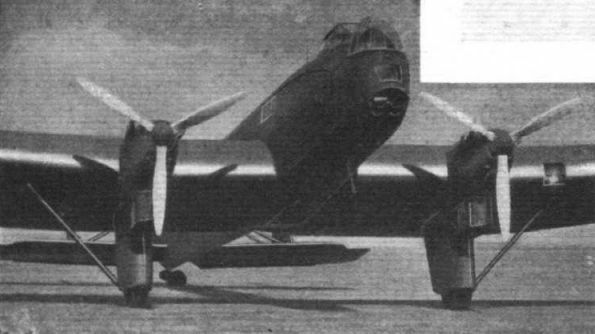 Looked at from the side, the Avro 636, except for the cantilever undercarriage, gives little hint of its outstanding performance. A head-on view shows where some of the performance comes from - the undercarriage is as clean as possible. 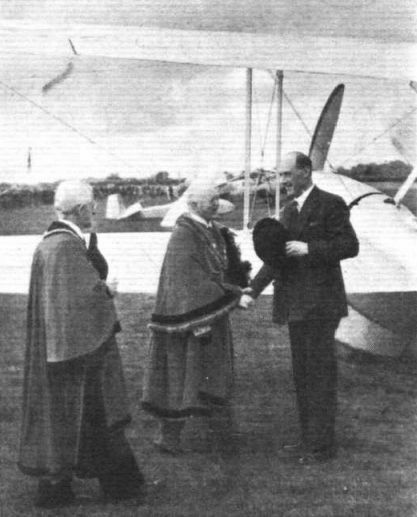 Three well-known Avro personalities with the new "636": Fit. Lt. F. B. Tomkins, Mr. "Bill" Thorn and Mr. C. J. Wood. 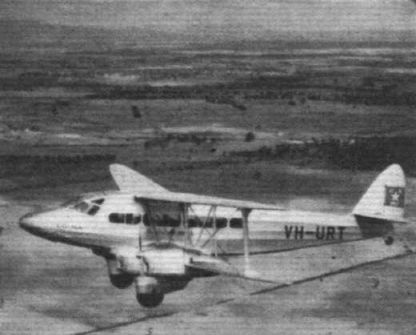 Exceptionally roomy cockpits are a feature of the Avro 636. Adjustable seats and rudder bars make the flying position comfortable for any pilot. 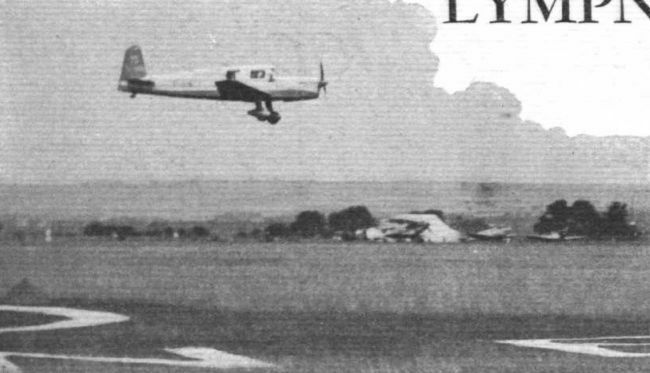 BRITAIN FIRST: The Bristol 140 civil monoplane, which has been presented to the Air Ministry by Lord Rothermere, coming in to land at Filton aerodrome. With two Bristol "Mercury" VI S engines the top speed is reputed to be in the region of 270 m.p.h. 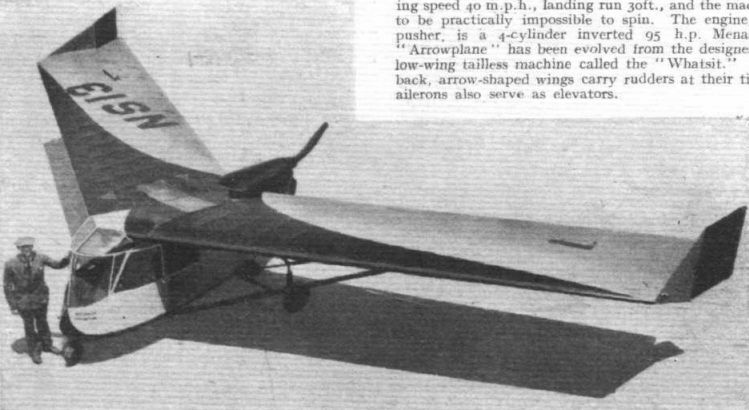 HIGH SPEED: The clean lines of the all-metal Bristol 142 are obvious in this view, which also shows the trimming tabs on the rudder and ailerons. AMERICA'S LATEST: Recently reported as having made the 2,100 mile flight between Alameda, California, and Honolulu in 17 hr. 9 min., this Glenn Martin "Flying Clipper," which forms part of the new Pan American equipment, has cut the previous time for the journey by 50 min. The engines are Pratt and Whitney Twin "Wasps" driving constant-speed Hamilton Standard airscrews. Passenger accommodation is for about 46. AROUND THE WORLD NON-STOP? 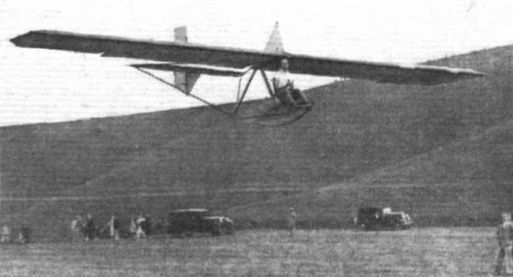 A "nose-on" view of the Burnelli UB 14 in which Clyde Pangborne hopes to make an attempt to fly around the world, refuelling from other aircraft on the way. 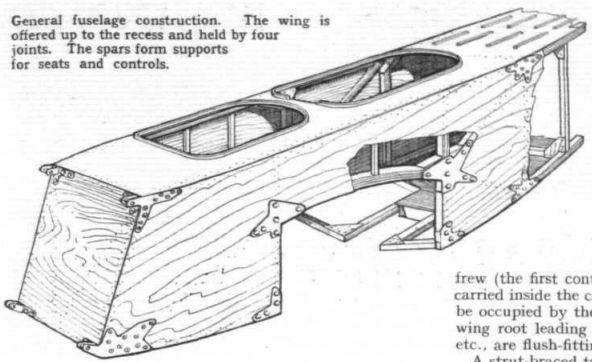 A feature of the machine is the aerofoil section fuselage. 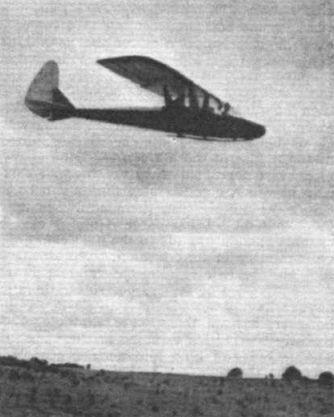 Note the pilots' position. 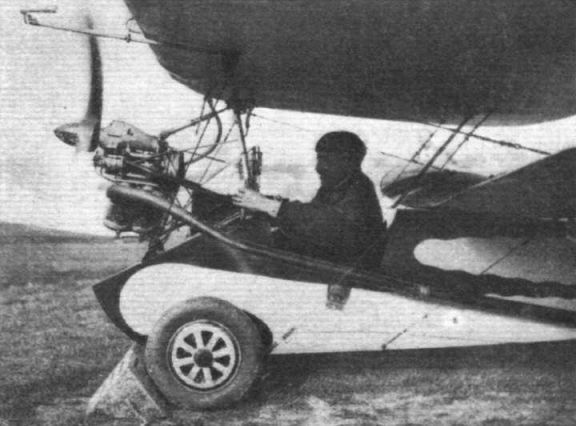 CLYDE PANGBORN with the new Burnelli fourteen-passenger U.B.14 transport. With two Pratt & Whitney "Hornet" engines, a cruising speed of over 200 m.p.h. is claimed. 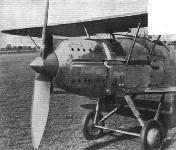 FOUR CAUDRON "TYPHONS," of the type shown here, have been ordered by the French Government for experiments with long range, highspeed mail carrying. The cruising speed, with two six-cylinder Renaults driving Ratier V.P. airscrews, is 202 m.p.h. 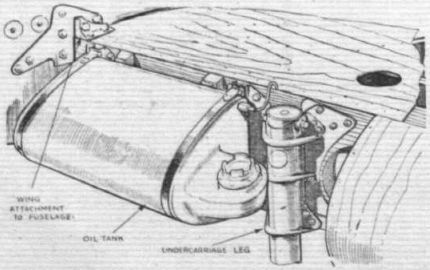 Arrester gear is as old in its conception as the idea of landing on the deck of an aircraft carrier, though the early forms, which made use of sandbag-weighted ropes, did not prove very successful; consequently these systems were gradually dropped in the Fleet Air Arm as the technique of landing on a bare deck was improved. More recently other countries, America in particular, have revived forms of arrester gear, presumably on the score of higher landing speeds, and our photographs show the latest type of arrester gear which is being used by our own Naval air service. 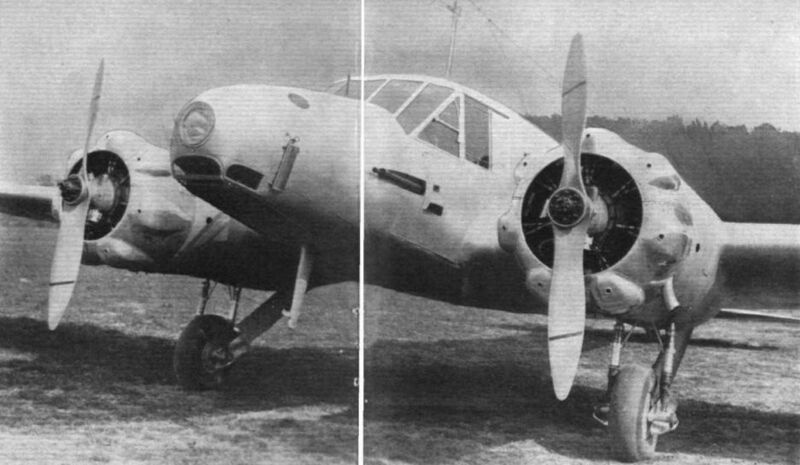 The pivoted hook under the rear end of the fuselage catches in the cables stretched across the deck. 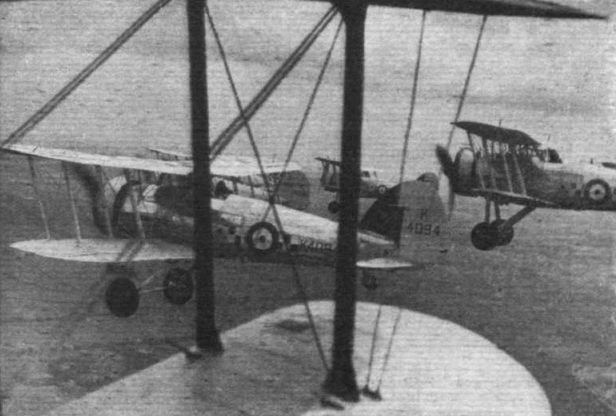 Pilotes of a Fleet Air Arm squadron which took part in the Air Exercises; the machines are Hawker "Nimrods" and "Ospreys." 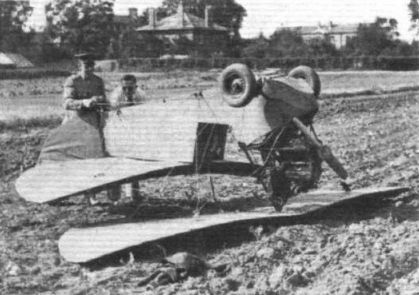 What happened when Mr. Duncanson had to land the Hendy "Heck" at Hanworth with its wheels retracted. THE BIG BOEING BOMBER: This photograph shows the new Boeing 299 in its completed state. Its gross weight is said to be 30,000 lb., its bomb load six tons, top speed 250 m.p.h., ceiling 25,000 ft. and range without refuelling 2,500 miles. The construction is termed "three-ply all-metal." The engines are four Pratt and Whitney. NASAL: The nose of America's largest and, we are told, fastest bomber, the Boeing 299. The machine has flown 2,300 miles in nine hours. The engines are Pratt and Whitney "E" type "Hornets," which yield 750 h.p. apiece, and the airscrews are of the Hamilton "constant speed" variety. The very last of the open D.H. "Moths" - destined for the Austrian Aero Club. 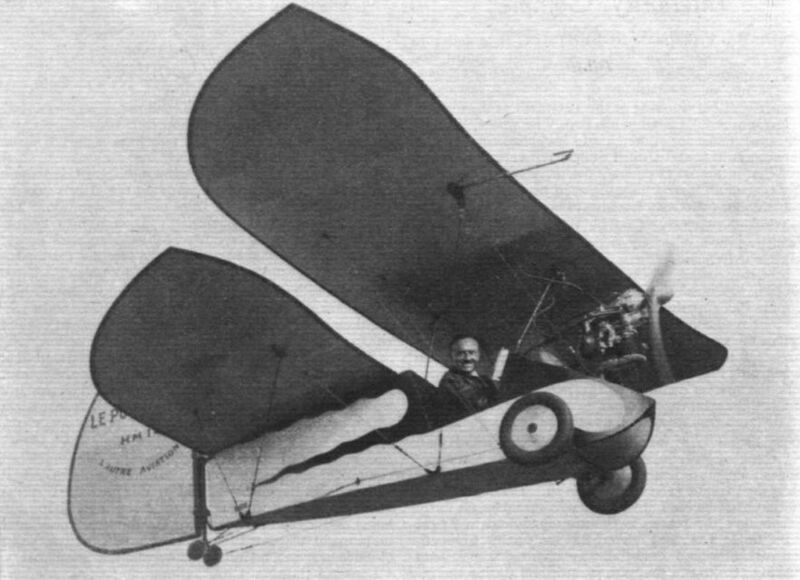 Mr. J. P. Dewsbury soaring over Totternhoe in a Kassel two-seater. 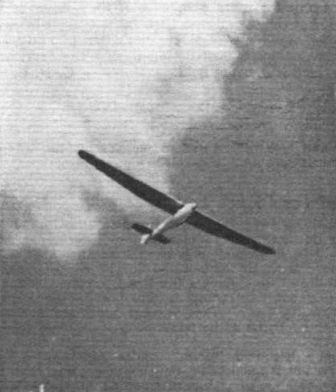 Mr. C. Nicholson piloting the "Rhon Buzzard" an efficient German-built sailplane. A member of the Summer Camp making a "ground-hop" in a "Dagling." 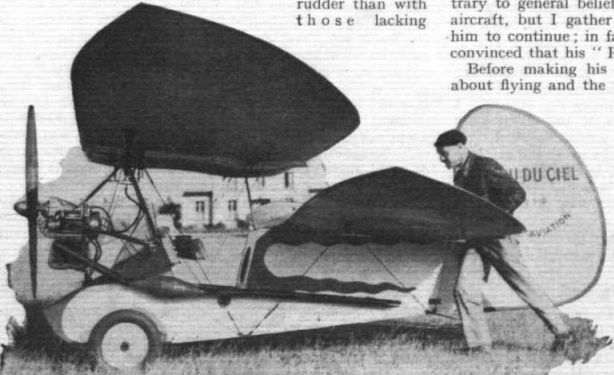 A "Dagling" primary trainer which the London Gliding Club has made more efficient by fitting a nacelle around the pilot.